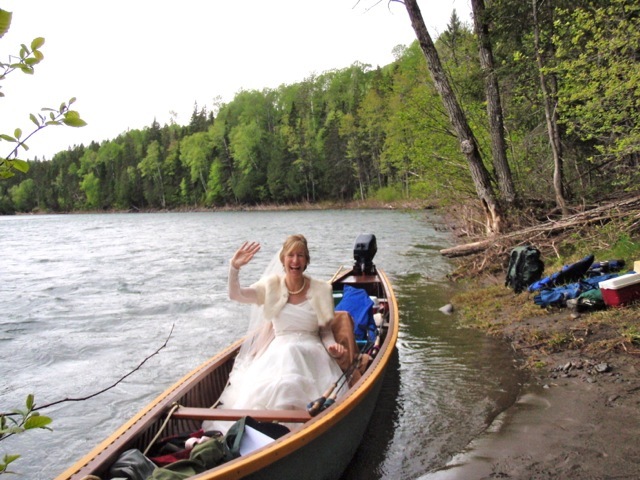 CD Clark and Tracey Warmus tie the knot at at Camp Bonaventure! Saturday, June 8th wasn't just a regular day at our sister lodge, Camp Bonaventure. While most of their guests we putting on waders , choosing fly's and gearing up for the day ahead, others were putting on a wedding dress and another a kilt! On the banks of the Bonaventure CD Clark and Tracey Warmus tied the knot! Under an open tent the ceremony was held on the side Luna pool on the Bonaventure. 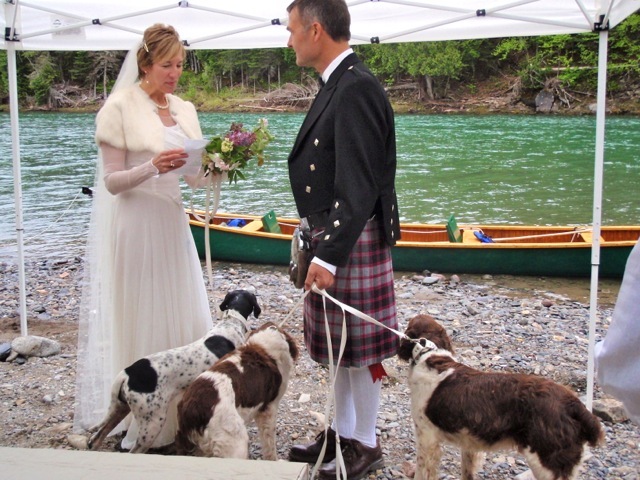 Along with the bride and Groom and their three dogs of course, were our guides Marc Poirier and Carol Barriault. Justice of the peace, Richard Deraiche performed the ceremony. CD and Tracey with their best friends. 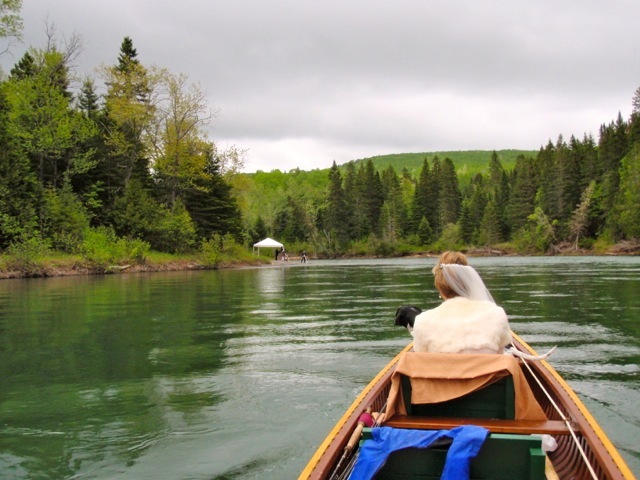 CD was waiting alongside the river as guide Carol arrived by canoe from up river with the bride. The rain held off just long for the wedding to take place under a dry sky. After the ceremony they put on their waders and whatelse, went fishing! Congradulations Tracey and CD. Are those new Orvis waders?